Welcome to Celadon! 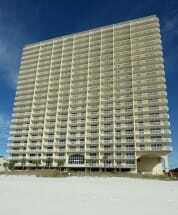 This beautiful resort sits in Panama City Beach, right along the Gulf of Mexico! 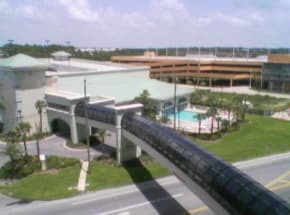 The benefits of staying here are not far from endless, with the beautiful pools, indoor and outdoor, the hot tub, sun deck, location (10 yards from the beach), children’s pool, 22 floors of luxury, grill area, fitness center, lighted tennis courts, regular tennis courts, beach chair and umbrella, free parking and so much more! 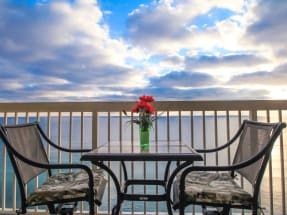 The condos at the resort consist of 1-3 bedrooms, with amazing private balconies, large living space and the view of the Gulf! Some common things to do include parasailing, deep sea fishing, swimming with dolphins, water parks, boat tours, jet ski rentals, Pier Park for shopping and food, helicopter rides, kayaking, surfing, diving, golfing and so much more! There’s a wide variety of delicious food spots, whether they specialize in seafood or traditional food, you can enjoy a great meal with excellent service and drinks! 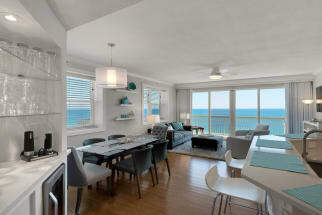 Scroll down now to view our selection of condo rentals availabe at Celadon Beach Resort in Panama City, FL. Be sure to click on the EMAIL OWNER button found on each listing to send a property owner a message directly, they will get back to you and gladly assist you in the booking process. 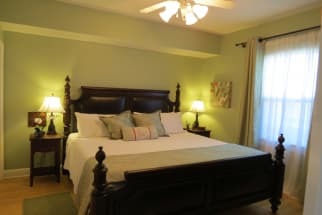 ECBYO does not charge any service fees when you book with us, so book online today and save!